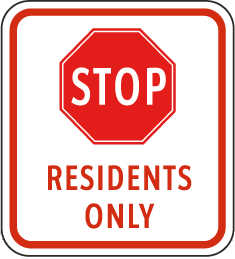 Information access took a hit last week, when the United States Supreme Court ruled that states have no constitutional obligation to treat non-residents the way they treat residents under their freedom-of-information laws. To be sure, most of the specific information at the center of the decision in McBurney v. Young1 was not information near and dear to the heart of The Legal Genealogist or the genealogical community in general. Still, it’s sad to see the High Court — unanimously — come down on the side of freedom of information being a service provided by a state, and not a right enjoyed by the people — all the people — no matter where they live. It was challenged by two very different plaintiffs. One was a businessman from California, whose business collects real estate tax records on behalf of clients. The other — McBurney — was a Rhode Island man who was in a dispute with his Virginia-resident ex-wife over child support. It certainly cannot be said that such a broad right has “at all times, been enjoyed by the citizens of the several states which compose this Union, from the time of their becoming free, independent, and sovereign.” … No such right was recognized at common law. … Most founding-era English cases provided that only those persons who had a personal interest in non-judicial records were permitted to access them. For the most part, the Court’s decision will not greatly affect genealogists’ access to the bulk of the records we use in our research. The usual records we want the most — the vital records, the judicial and legislative records — are usually open by virtue of other laws. But the decision certainly may impact our access to the out-of-the-ordinary records we may want to see, the ones not included in other laws but that are so helpful in completing our reasonably exhaustive search for documentation. And it certainly bodes ill for our chances of getting the courts to overturn freedom-of-information denials by agencies like the Social Security Administration. More than anything else, seeing our Supreme Court label freedom-of-information laws as merely providing a service and not as securing a right of the people to information by and about their government is profoundly disturbing. I have to wonder if this matter is as much a denial as it may be a lack of resources or political will to make information widely available. I don’t know about the Virginia FOIA but here in Ontario it is a big deal, requiring a level of service that eats resources. There’s always an economic component to these sorts of things, Tim… but that could be addressed by charging fees that pay for providing the information, not by stopping the flow of information. I whole heartedly agree that “this is not a good thing!” One of the things that sticks in my craw when elected officials start decreasing, or entirely closing, access to PUBLIC records, is that they seem to “forget” that these records were created using, d-r-u-m-r-o-l-l, funds which came exclusively from taxpayers, aka the PUBLIC. In my opinion that creates a mandate for them to be accessible to the public who paid for them! No argument from me on that one, Mary Ann! Very clearly reasoned. A right, not just a service. Reminds me of the health care arguments. Health care as a right, not just a privilege. Maybe the current popularity of states’ rights arguments are an underlying influence here? There wasn’t any reference to states’ rights as such in the opinion, but that kind of thinking may well underlie the decision. The knee jerk reaction that seems to be sweeping the nation’s lawmakers (and yes, that includes the judicial branch of gov’t) to restrict access to public records is just appalling. This is a general trend backwards, rather than forwards. You are so right about that, Lisa. It’s a pure knee-jerk easy-way-out. When I took mandatory civics in jr high, high school & college, we were taught that citizens created govt institutions for their benefits…and the right of the people to petition their govt “shall not be abridged or denied” & such rights transcend state lines (the 1930s rulings that anti-Okie laws were unconstitutional especially because they differentiated the rights of citizens newly entering the state vs oldtimers…) Besides, when Ex-President J Q Adams served in the House of Reps, he presented petitions before Congress requesting that abolition of slavery be the business of the House…His petitions included many thousands of names of non-voters (former slaves & women), FROM ALL OVER THE UNION, and they were accepted by the House Clerk as valid… But then I went to school in the 1960s when a new struggle for civil rights was an everyday occurrence… Over the last few decades, the erosion of our traditional civil rights has accelerated beyond belief! This Supreme Court seems to want to make up its own rules & draw illogical conclusions based on its own biases — eg the “personhood of corporations” has no political contribution limits, unlike that of real living people.